COLUMBIA, SC – Zion Williamson would not let his first NCAA tournament play – let alone one in his homeland – end in disappointment. After a moving first half for Duke, Williamson dominated North Dakota State to open the other half from following a missed free throw with a dunk to run over a Bison point guard for a loose ball that he converted to another bucket when the blue devils ran in a 85-62 victory. "It's just something in me, deep down, if I see my team in a sticky situation," Williamson said. "I want to be the one pulling us out. I just happened to be in the right spots." 3 of the duke's first 21 out of half as the blue devils pushed a four-point edge to 20 with 14 minutes to play. Williamson dimmed the feeling of being in front of his home-state fans, but he admitted that there was a thrill to just get on the pitch in the NCAA tournament. 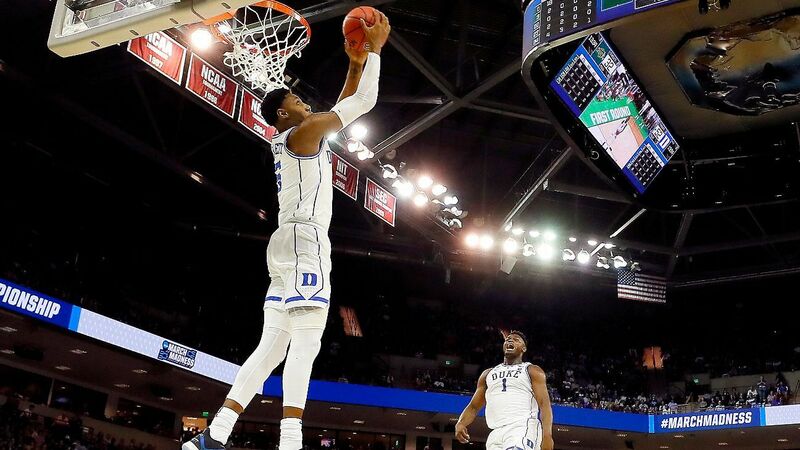 RJ Barrett and Zion Williamson resume their first NCAA tournament experience at Duke's victory against North Dakota State. "I remember seeing March Madness, live streaming it in high school, in middle school – just watching the intense games and telling myself I should be part of it," Williamson said. "So I think [night] when I was sitting in my hotel room, I was like:" I'm actually here. "It's very exciting." Williamson added the excitement on Friday, his star again threatening the case. A "Zion Cam" followed him around to provide video documentation of his every move, and the Duke-heavy crowd roared with Williamson's latest additions to his highlighting roll. However, the end result is slightly more than a steppingstone, Williamson said with a national title the ultimate prize in a season that would feel unfinished without it. "It's my main goal to win the national championship," Williamson said. "Individual awards, if you know me, I'm not really interested in them.
" The national championship, that's the one I look back 20 years from now and go, "Yes, we won it with that group and it group was really special. & # 39; "